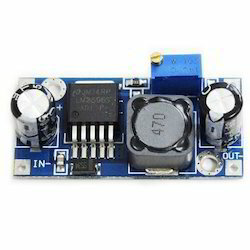 Prominent & Leading Manufacturer from Chennai, we offer lm2596 dc buck converter step down module, xl6009 boost module dc-dc power modules ultra adjustable, mt3608 dc-dc step up booster, mini 360 hm buck power module, power board and lm2577 dc-dc adjustable step-up power converter module. Our new Power Supply power Board features a high efficency switching regulator for both a very stable supply and reduced power loss. Ideal for use with a standard dc plugpack outputting 7-12Vdc, with either polarity plug arrangement. 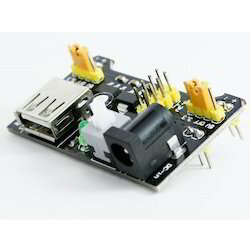 The board is designed for easy usage of peripherals. LED is also used in the power board for indication. 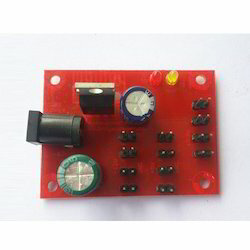 The Rectified voltage is given as the input, it will vary accordingly to the power board consumption. 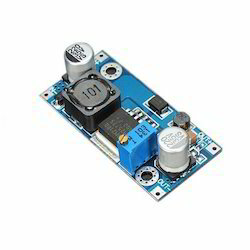 Professional 12 Volt DC 1 Amp power supply is suitable for powering a wide range of applications including CCTV cameras and wireless routers. Features: 100% Brand New Excellent Quality Short Circuit, Over Voltage & Over Current Protection. Meet CEC Energy Efficiency Level IV. Incredibly Low Fault Rates No Minimum Load. This power supply is a regulated Center Positive power supply and has a 2.1mm x 5.5mm Jack It's plug design is for Indian power socket. So, no plug converter is required. Compact size & light weight. High Reliability. Regulated Stable Voltage. Good quality SMPS Based Adapter Power LED Monitor (LED Glow when in Use) Stabilized Output, low ripple & low interference Single Output Voltage High Efficiency & low energy consumption Input - 100-240 VAC 50/60hZ Category - Switch Mode Power Adaptor (SMPS) Output Type - DC Output - 12Volts 1Amp PLEASE NOTE THAT DESIGN AND COLOR MAY CHANGE FROM THE PICTURE SHOWN ABOVE Applications: Powerful 12v 12w 1A max Current Draw. 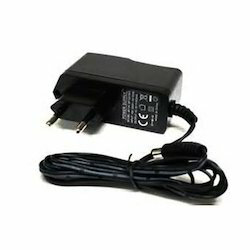 Replaces lower amped adapters 12v 0.5A 1A. 1.5A etc Smart Replacement Gadget Power Supply for LED, SMD, LED Strip, RGB LED Strip Ideal for Routers / Modems / Mobile Phones / Mp3 players / POS Machines etc. Best for Routers , Wifi Routers security/spy camera receiver and some advanced cameras CCTV , Gadgets , Portable Players , Set Top Boxes,best for Toys etc., Charging or any gadgets as per the rating of the device , please study and then buy as this a very technical item only works as per its precise current outputs This power supply is an ideal replacement for a wireless network router such as the Netgear DG834, DG834GT, DG934 etc.. plus a range of many other wireless routers. You will need to check the DC socket size & power rating with the supplier of the router you are using as we can not confirm it will work. 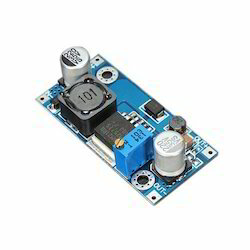 Looking for DC Power Board ?